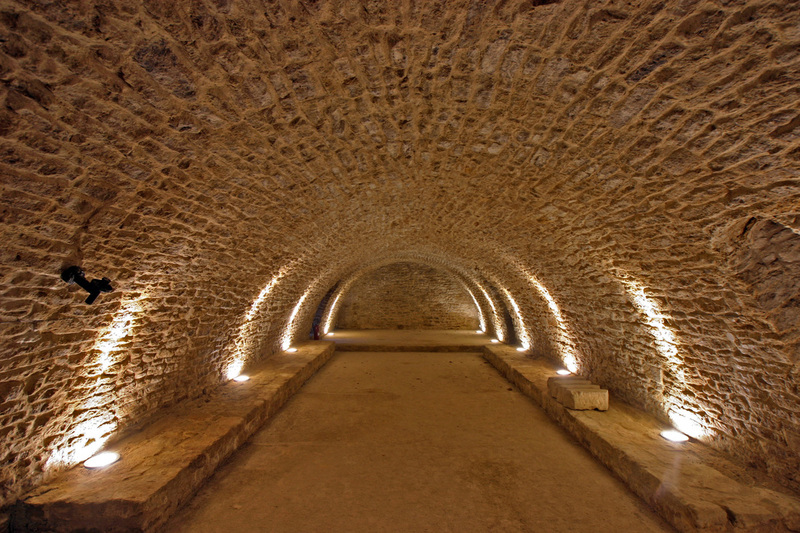 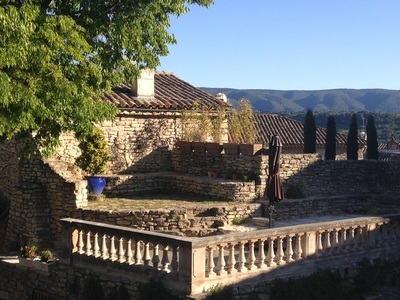 Outdoors - Château de Goult, Gordes.Luberon, Provence. Outdoor : Garden and Terraces. The Chateau’s garden is centered round a circular lawn, surrounded by rock and several terraces. 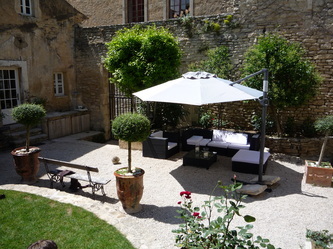 The main terrace is a large area for relaxing or enjoying an aperitif. 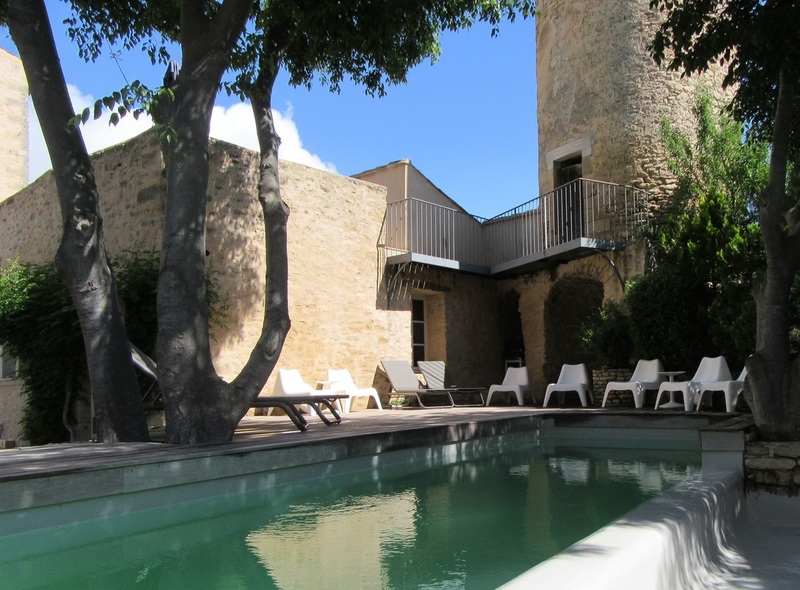 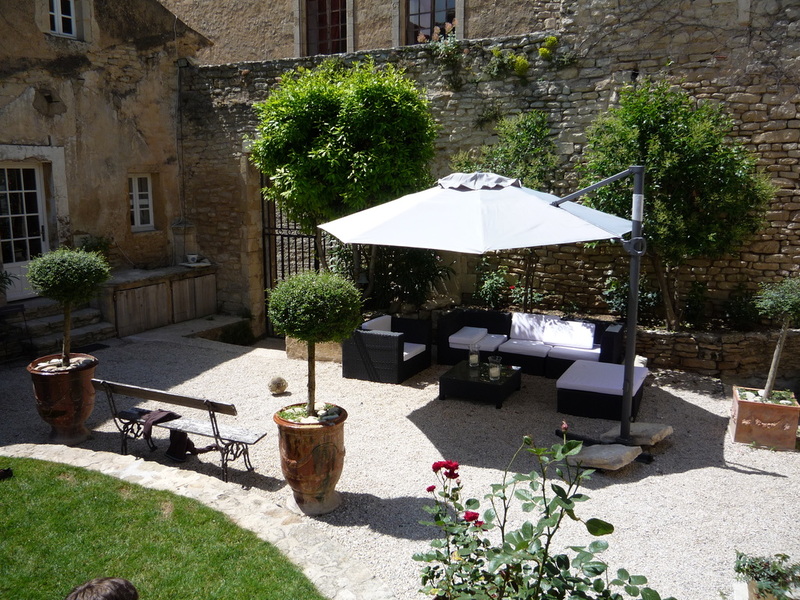 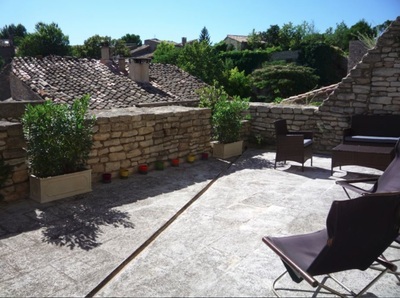 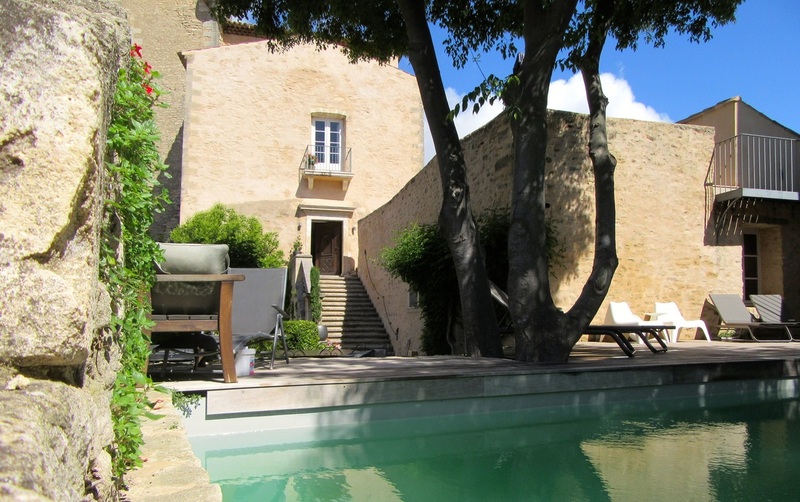 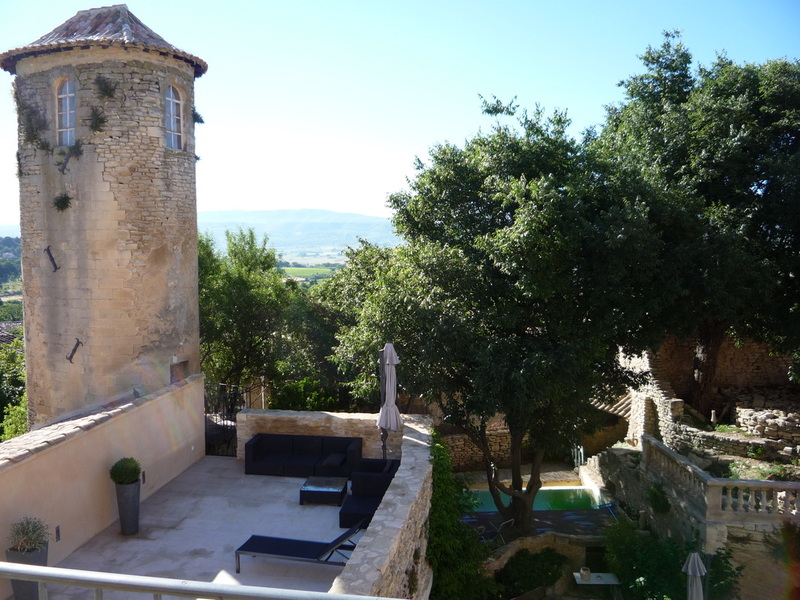 It links the Chateau entrance and the Clock Tower and overlooks the garden and the pool..
A second terrace is located on the second floor of the Chateau and gives a superb view of the village skyline. The swimming pool (2,5mWx8mLx1,5-2,5mD) is hidden from view beneath hackberry trees.